New for 2018: design and practicality for an increasingly functional bathroom! The Salone del Mobile.Milano 2018 was an opportunity to present to the public the latest innovations at Xilon: design, innovation and functionality, the keywords that characterize new products, to offer customers, always, aesthetics and practicality. Ghost the washbasin with double bottom for two uses: from a sink with an exclusive design in a sophisticated bathroom to a spacious and transverse washbasin, which brings into the contemporary bathroom all the functionality of the laundries of yesteryear. A new dimension of the bathroom that opens up new perspectives, a perfect synthesis between design and practicality. W 55 x D 50 - D 65 x D 50 - D 78 x D 50. Candid Black revisits an iconic Xilon product in an industrial key, while Candid Black, a black aluminium structure that houses the exclusive ceramic washbasin, interprets the trend of the moment in which the bathroom is immersed in metropolitan atmospheres in a decisive way. Contemporary and vintage at the same time, the new black look of the Candid collection focuses on robust simplicity and a grunge charm that allows it to fit into any environment, making it unique. 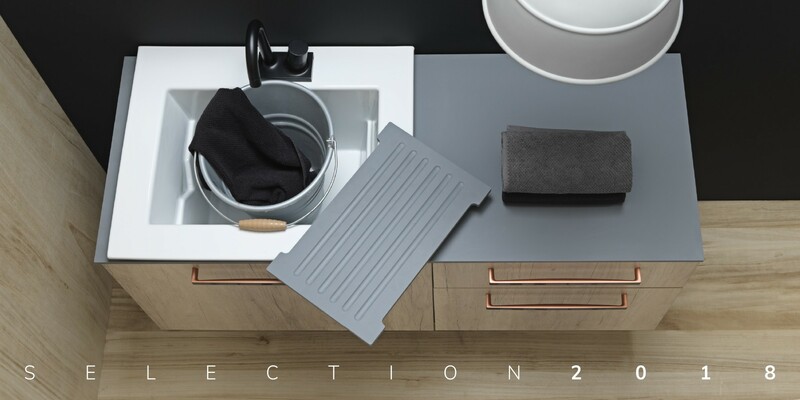 A set of accessories of the same character and entirely customisable are available for the new Candid line in the industrial version, for an exclusive bathroom. 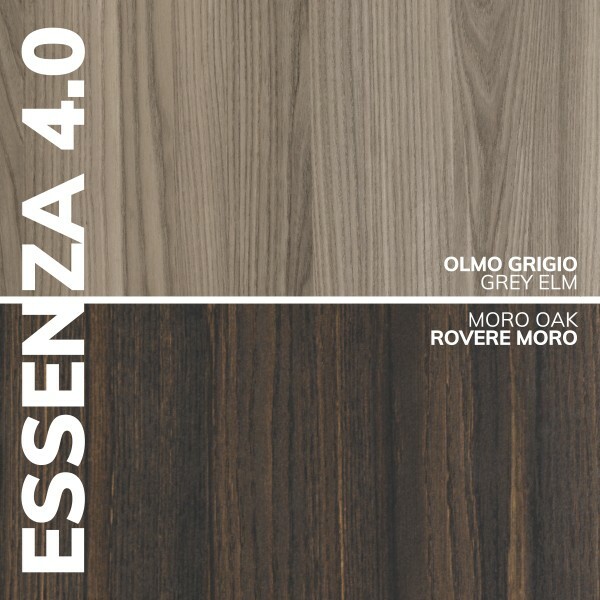 Essenza 4.0 A new finish, a concentration of technology and nano-technology: Essenza 4.0 is in fact the synthesis of a process of research and production that has led to the creation of a decorative able to meet the highest demands in terms of design and functionality, while respecting the environment. minimal environmental impact, with a view to a real circular economy. visual and tactile characteristics, has continuity of tone and color, while maintaining excellent resistance to light, grease and moisture.